This is an inspirational series of books based on different characters know collectively as the CAN DOs. COULD has no problems sleeping at night. 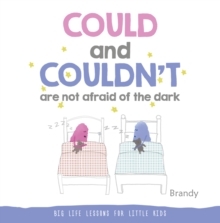 COULDN'T is afraid of the dark and has problems falling asleep at night. COULD shares that there is nothing to be frightened about the dark and the two soon fall asleep.